HANOVER, Germany — Ford Trucks offers only light- and medium-duty vehicles in North America, but the brand is aiming to make a splash in the heavy-duty segment in certain international markets. 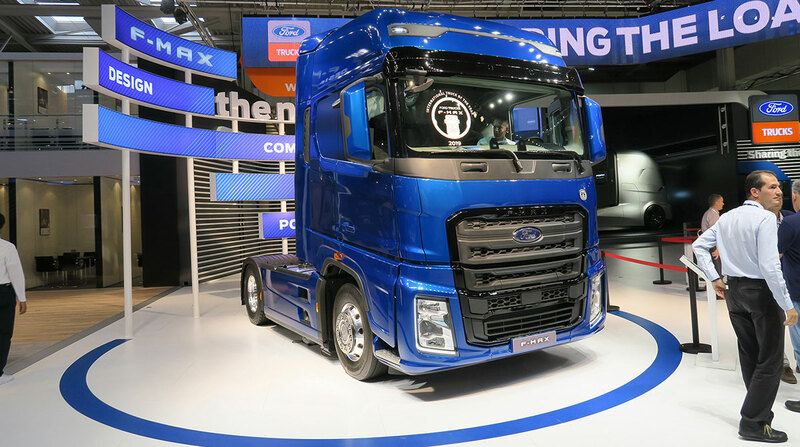 Ford Trucks debuted its F-Max cabover tractor at the IAA Commercial Vehicles show here. The F-Max, which takes its name from Ford’s F Series, will be marketed in central and Eastern Europe, Russia, the Middle East and northern Africa, with aftermarket service also available in Western Europe. The vehicle was designed and tested over the course of five years by Ford Otosan, a manufacturing company based in Turkey that is jointly owned by Ford Motor Co. and Koç Holding. “We developed our new tractor with Ford’s principles of comfort, power, efficiency and technology at its heart,” Ford Otosan CEO Haydar Yenigün said. The F-Max comes equipped with Ford’s 12.7-liter E6D Ecotorq engine. The new truck features a 12-speed ZF automated transmission and drive modes such as eco-mode and power mode to optimize fuel consumption or performance. Ford Trucks is offering a connected-vehicle platform, ConnecTruck, with the F-Max. The service enables remote diagnostics and over-the-air software updates. The F-Max also offers driver-assist features such as adaptive cruise control, predictive cruise control, emergency braking, lane departure warnings, electronic stability control and an adjustable speed limiter device.